The world is filled with gardening tools and gardening books and gardening supplies. Here, I’ve gathered together some of my favorites from each category. I’ll continue to update this list as I test out new tools and read new books. If you have a favorite tool or book you believe deserves mention here, please let me know. Disclosure: Some of the links on this page are affiliate links, which means I’ll earn a few pennies if you choose to buy that product after clicking on the link. There’s no extra cost to you, and every product I recommend is either a product I’ve used and loved, or one that I’d like to someday use and fully expect to love. If I recommend something here, I’ve probably also recommended it to my mom — so you know I’m being straight with you. Whatever pennies these links earn will be directed toward the maintenance of the Outlaw Garden blog. Thank you! Douglas Tallamy is the bug-loving mastermind behind Bringing Nature Home, his wonderfully fantastic book about gardening for biodiversity. Now, with his latest book, Tallamy partners with landscaper and field ecologist Rick Darke. Their book combines design with ecology, showing gardeners how to create and maintain a garden that’s a delight for both people and wildlife. It’s no surprise to me that this book is currently the #1 best seller in Amazon’s landscape category. This isn’t a vegetable gardening book, but many of its lessons can also be applied to the front yard edible landscape. This is hands-down my favorite book for all around vegetable gardening advice. Smith’s book is absolutely packed with vegetable-growing wisdom, from choosing the best planting dates to identifying those pesky leaf-munching bugs. His approach to gardening — organic, lots of compost, deeply cultivated beds — is pretty much my approach to gardening, probably because I’ve read and reread this book so many times. This is my go-to gift for any friend or family member who is venturing into the world of gardening for the first time, and is still something I refer to regularly after decades of gardening myself. There aren’t really any landscaping tips to be found in this book, but his recommendations for plant spacing and companion planting are very useful when planning out mixed edible landscapes. Branching out from vegetables, this book offers sound advice on selecting and landscaping with fruit trees, bushes, vines, and brambles. Lee Rich includes the expected fruits — apples, peaches, strawberries — but also introduces his readers to a wide selection of lesser known fruits. Within these pages, you’ll discover tips for growing jujube, huckleberry, kiwifruit, gumi, and more. There’s even a section devoted to growing subtropical fruits in containers. This book combines practical gardening advice with real landscaping vision. Rich includes examples of lushly landscaped yards, both large and small, and offers suggestions for incorporating each fruit into the landscape. Struggling to identify that mysterious weed (or maybe it’s a wildflower?) in your garden? This book would be an excellent place to start. Its 797 pages are filled with full-color photographs and line illustrations of our most troublesome weeds. It’s intuitive to use because the book is organized by plant family; I found it rather easy to identify sheep sorrel just by looking for plants that resemble the new-to-my-garden weed. One caveat: the authors’ definition of “weed” appears to be any plant that’s out of place. They include many native and desirable species in this book, so just because it’s included here doesn’t mean a particular plant deserves to be weeded out of your garden. Use this book as a starting point, and then head to the internet if you need more information about the plant you’ve IDed. These two titles deserve to be bundled together. Combined, they offer an incredible wealth of information about North America’s native plant species, from the smallest wildflower to the tallest sequoia. The books are organized alphabetically by species groups. You will find all the wild roses in one section, for example, and all coneflowers in another section. Each species description includes information about light and water needs, flowering time, zone hardiness, and approximate mature size. Cullina’s descriptions are richened by his own extensive experience cultivating native plants, and he often includes recommendations for specific varieties within a species. The photographs are a rich as the descriptions. Each book includes lists of recommended plants based on habitat, zone, sunlight, attractiveness to pollinators, and more. These books will be excellent resources for all gardeners, but especially those hoping to add native plants to their landscape. I should mention that these are not guidebooks. Although I have used these books to identify unknown native plants before, the books are organized alphabetically by scientific name, which makes it difficult to find an unknown plant. My recommendation would be to use these books as references on known species, or as a way to select native species you’d like to add to your garden or landscape. This is where these books shine. This is a book that belongs in every front yard gardener’s library. Through photography and prose, Creasy shares solid advice on growing edibles in the ornamental landscape. Her own garden is her primary example, but she does pull in photos and illustrations of other landscapes throughout the book. The first half of the book is devoted to lessons of landscaping, while the latter half offers descriptions and advice about especially ornamental edibles. Although I love this book, I want to offer a caveat here: Creasy gardens in Los Altos, California, and enjoys a milder climate than most of us. Her landscapes are absolutely stunning and inspiring, but do not let their California-grown perfection scare you off. Instead, simply adjust your plans and plant selections to fit your climate, space, and time availability. Thirty well-known and experienced gardeners answer the “why I garden” question in this delightful collection of essays. This is a great book for those long winter nights when the garden is frozen over and the gardener is left to dreaming (and reading) of the next growing season. I’ve gifted this book to several gardeners in my life, and am sure I’ll continue to do so. The essays are by gardeners you likely know and admire, such as Douglas Tallamy, Rosalind Creasy, Stephen Orr, and many, many more. No list of recommended garden books would be complete without Barbara Kingsolver’s account of her family’s one-year experiment with local eating. The book is delightfully humorous, honest, and insightful as Kingsolver writes about her garden, the local farmers’ market, and the family turkeys. Butchering, bananas and raising eggs for profit are some of the topics explored in the book’s chapters, which follow the calendar year and the garden’s rhythms. Scattered throughout are recipes and short essays, contributed by Kingsolver’s husband and eldest daughter. The book will cause you to laugh out loud and pause for a moment of quiet reflection. Most importantly, this book may change the way you view your garden. It did for me. It may not look like much, but this simple tool is a multi-functional dream tool for the gardener. It’s both knife and shovel. It’s a trowel and transplanter. It’s a weeder. It’s a sturdy pry bar for levering rocks and lumber. It’s my favorite gardening tool. There are several fancier versions of the hori hori — also called a soil knife — but I’m a fan of the simple wooden handle and solid stainless steel blade. It’s tough and crazy durable. Mine is several years old, and going strong. It’s rare for a tool to be as beautiful as it is functional, but this hand-forged weeder from DeWit is a delightful exception. The tool has a high-carbon steel blade with a solid, FSC-certified ash handle, and is built to last. With its angled head and 18-inch-long handle, this tool makes careful weeding an easy chore. The de Wit family has been hand-forging these tools in Kornhorn, Holland, for four generation. These tools combine the best of hand-made quality with modern functionality. It should be no surprise that these tools come with a lifetime guarantee. One important note: This tool is designed for right-handed folks. If you are a leftie, you want to be sure you get the left-handed version. This is the second hoe in my weeding arsenal. While the DeWit Dutch hand hoe is meant to be used while kneeling or sitting in the garden, this scuffle hoe is designed for use while standing. It’s an excellent tool for weeding larger areas, yet still has a small enough head to allow for careful weeding in tight-planted areas. Unlike the classic peasant hoe, with its head at 90-degrees to its handle, this scuffle hoe is meant for sliding along just below the soil surface. You don’t use a chopping motion. You push and pull the tool back and forth, “scuffling” it through the tender stems and roots of bothersome weeds. It’s a low-impact tool with high-impact results. Also, I love the name. All rule-breaking gardeners should own a “rogue” hoe, don’t you think? Dandelions don’t stand a chance in the face of this miraculous device. It looks like it might be a gimmick, but it’s not. I’ve used this weeder, and this thing WORKS. Even better: it works EASILY. The technique is simple. While standing, jab the tool’s four teeth into the soil around the crown of a dandelion or other undesirable weed. Step on the foot platform to bury those teeth, and then lean the handle back toward your body. Using simple leverage, the tool pulls out the weed, root and all. Not surprisingly, this works best when the soil is moist. The standard Uproot Weed and Root Remover has a 39-inch handle. For taller gardeners, Fiskars makes a deluxe model with a 39-to-47-inch extendable handle. Give your hands a break with these well-made snips. The ratcheting mechanism allows gardeners to near-effortlessly cut through branches and stems that might otherwise prove too much for simple hand strength. An essential tool for gardeners with arthritis or other hand or wrist ailments, and a delight for all gardeners. The tool does the hard work for you. The shears are constructed from aluminum, making them lightweight and easy to carry around the garden. This tiny file — it only measures 5 inches — will keep your tool blades sharp and effective for years to come. Bonus: That bright red handle will make this tool easy to spot when it’s inevitably dropped somewhere in the garden or garage. The tool works on all straight edges, from pruning shears to shovel heads. It is not recommended for serrated blades. For that task, you will want a diamond-bladed sharpener that’s specifically designed for serrated blades. I love shut-off valves. I use them for a quick on-and-off-with-the-water at the end of all my hoses. They help save wasted water and prevent overly drenched plants. They even help extend the lives of my hoses, because the shut-off valve means I don’t need to intentionally kink the hose to temporarily halt the flow of water. But, oh, how they break. The cheap versions available at most big-box stores just aren’t built to last. I break one or two a year, and always in the same way — the plastic handle snaps off right at the bolt, making it impossible to turn the valve. This heavy-duty shut-off valve solves that problem. It’s solid brass, with no plastic parts to break. The extra-long handle is a nice bonus feature, making it easier to adjust the water flow without hand strain. Forget all those swirling heads, rotating arms, and breakage-prone moving parts. This is about as simple as a sprinkler can get, and it’s nearly indestructible. Known as the “pound of rain” sprinkler (it weighs a pound), this is the sprinkler of choice for my outlaw garden. It’s made of cast iron, with no plastic parts to break or springs to bend. Just hook it up to the hose, and set that water free. The one disadvantage of this sprinkler — its relatively small 30-foot-diameter spray range — is also an advantage. With this sprinkler you can easily target your watering, giving more water to moisture-demanding plants without wasting water on less needy plants, lawns, patios, or driveways. You can’t go wrong with High Mowing Organic Seeds. Their entire line is organic and verified GMO-free. They belong to OSGTA, and were one of the original signers of the Safe Seed Pledge. They do sell hybrid varieties, but their hybrids are well-labeled and many open-pollinated and/or heirloom varieties are also available. Bonus: They offer free shipping with no minimum order. You’ll find a wide selection of heirloom and open-pollinated seeds (as well as hybrids) at Territorial Seed Company. They have signed the Safe Seed Pledge. In addition to a range of vegetable and flower seeds, Territorial Seed also sells some fun fruits and vines, including almonds and prickly pear. A favorite seed source of mine, Southern Exposure Seed Exchange is located in central Virginia and specializes in varieties that thrive in the high-heat, high-humidity environment of the mid-Atlantic and southern states (although they also sell many crops that thrive throughout the country). They stock a wide selection of organic and heirloom seeds (both of which are well-labeled in their catalog and on their website), have signed the Safe Seed Pledge, and are members of OSGTA. If you are looking for unusual varieties, you won’t go wrong with Baker Creek Heirloom Seeds. As their name suggests, the company focuses on heirloom seeds, deliberately seeking out regional varieties from around the world. They have signed the Safe Seed Pledge, do not buy seed from any companies affiliated with GMOs, and offer only non-hybrid seed through their catalog. 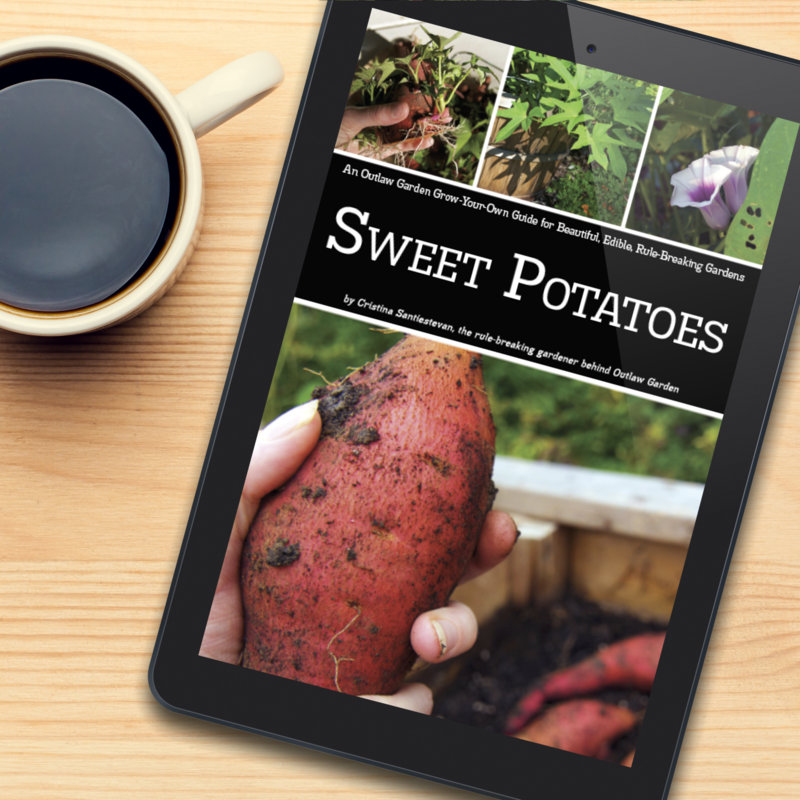 The Seed Savers Exchange is more than a seed catalog. It’s a nonprofit dedicated to preserving (and sharing) heirloom seed. You can join the exchange for access to more than 12,000 varieties of member-grown and -shared seed, or you can order direct from their smaller commercial catalog. The exchange focuses on open-pollinated and heirloom varieties, offers a wide selection of organic seed, and is a signer of the Safe Seed Pledge. A great source for older or more unusual varieties. 100% organic seed — that’s what you will find with Seeds of Change, which grows all of its seed on its own certified-organic farms. The company does sell some hybrid varieties, but sells more open-pollinated and heirloom varieties. They deliberately select varieties based on their ability to thrive when grown in organic conditions. Not surprisingly, Seeds of Change is also a signer of the Safe Seed Pledge. Born as a public seed library, Hudson Valley Seed Library has now grown into a small but wonderful seed company. They specialize in heirloom and open-polinated varieties, grow most of their seed on their own certified-organic farm, and have signed the Safe Seed Pledge. Best of all are their “art packs” — beautifully-illustrated seed packs, each with a different custom-designed label. Hybrids, heirlooms and open-pollinated varieties can all be had through Pinetree Garden Seeds. The family-owned company is another signer of the Safe Seed Pledge. In addition to standard garden seeds and supplies, Pinetree also sells spice blends and teas, canning supplies, and crafting supplies. Johnny’s Selected Seeds was one of the original signers of the Safe Seed Pledge, and remains committed to selling only non-GMO seed today. The company is employee-owned, offers a range of hybrid, open-pollinated, and heirloom varieties, and develops its own varieties for market. Johnny’s also caters to farmers and market-growers, and offers many of its seeds in larger, more economical quantities for those customers. I’m excited to try this Northwest seed supplier for the first time this year. A quick read of their individual plant descriptions makes it clear how much they care about the quality of their seed. And I’m finding some varieties in their catalog that I wouldn’t even know to look for elsewhere. What fun! One caveat: Adaptive Seeds is based in Oregon, and focuses on crops that are adapted to the Pacific Northwest and other cool-weather, northern climates. This doesn’t mean their seed won’t grow for us more southerly or hot-summer gardeners, but do keep their region in mind while shopping. I’m thinking about trying their ‘Russian Hunger Gap‘ kale, which seems to perfectly combine winter-hardiness with landscape-worthy attractiveness. Any seed company that describes itself as a “rascally group” has my support. Here’s how they describe themselves on their website: “Uprising Seeds is the culmination of years of fresh market farming, variety trialing, seed production and breeding work, and most importantly, a decades-long love affair with food and its power to bring people together.” Those are some pretty good roots for a seed company, wouldn’t you say? I’ve never ordered from Uprising Seeds, but hope to remedy that this spring. I’m tempted by their ‘January King‘ cabbage, which looks to be winter hardy to at least 5°F. Have you looked into Permaculture? From what I have read of your posts, it would seem to be something you would enjoy. Yes! I’ve dabbled in it a bit, but haven’t done as much as I’d like to. Such fun!